London game number two features two teams heading in different directions as the New Orleans Saints take on the Miami Dolphins. The Saints pulled out a surprising and possibly season saving win on the road against the Panthers while the Dolphins laid an egg against the lowly Jets. London games tend to be predictably but also historically high scoring, so expect the unexpected in this matchup. While the wheels completely fell off for Miami in an embarrassing showing against the Jets, Cutler put almost similar numbers to his first week on the job, just adding an interception. The Saints forced some turnovers last week but still have one of the worst defenses in the league, so Smokin Jay could provide a QB1 point total if you are desperate. I really can't overstate how bad it is to get manhandled by the Jets, and Jay Ajayi was another victim of the hilarity that Miami fielded last Sunday. But it pays to have a short memory in fantasy and Ajayi gets an excellent matchup against the Saints. Look for a higher carry total and a return to RB1 status. Jarivs Landry, a PPR staple, has already caught 19 balls in two games. Unfortunately, Jay Cutler has not elongated the yards per catch like many Landry owners had hoped. The Saints offer Landry's best hope for a big day, so slot him in as a WR2 and hope that he can stretch the field or find the end zone. DeVante Parker was the only Dolphin to make it out of New Jersey with some dignity as he caught eight balls for 76 yards and a touchdown. When Jay Cutler flings it deep, as he does with regularity, it's going to Parker. That is a potent combination against the third worst passing defense in the league. Plug him in. Jay Cutler has utilized his tight ends in the past, but Julius Thomas has yet to find a connection with his new quarterback. That being said, he does have six catches in three games, so the targets exist. He is a boom or bust candidate against the Saints and will need touchdowns to make any fantasy impact this year. Despite only throwing for 220 yards, Drew Brees still put together a top tier performance with three touchdowns and no turnovers last week against Carolina. 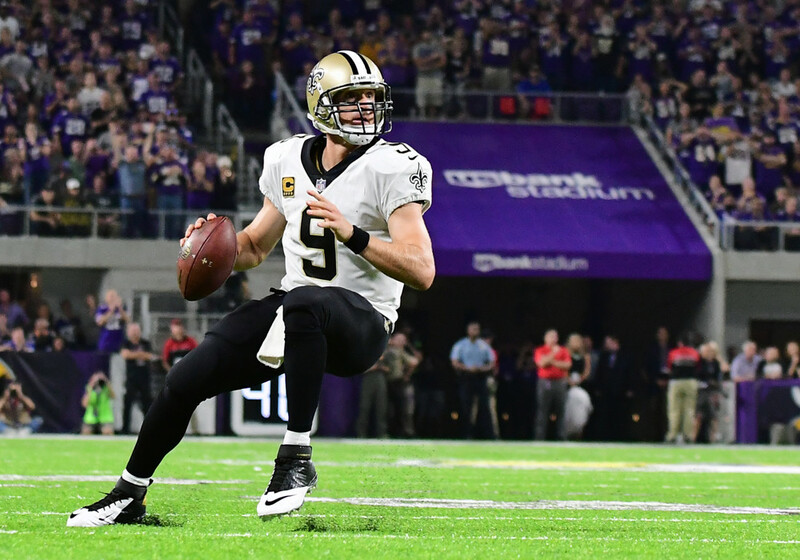 Brees turned what looked like a bad matchup on its head as he led dominate drives against a staunch Panthers defense on the road. The Saints have another non-dome road game against Miami this week, but Brees gets Willie Snead back and the Dolphins just got rocked by the Jets. He is a promising QB1. Michael Thomas has been one of the most consistent wide receivers over the past two years and turned another eight targets into seven catches, 87 yards and a score. Miami just got carved up by the combination of Josh McCown and Robby Anderson, so Thomas should be in line for a huge week. Mark Ingram continues to lead the way for the Saints backfield, and with a surprising lead in Charlotte, carried the rock 14 times. The three headed backfield approach will limit his upside each week, but you could do a lot worse with a flex or RB3 than Ingram against the Dolphins. Alvin Kamara continues to see work as a pass catching back in the Saints high powered attack. His touches and impact are limited, but his role may continue to grow throughout the year. For now he remains a low end flex option.